Digital health sector has now accumulated $28 billion in disclosed VC funding since 2010. 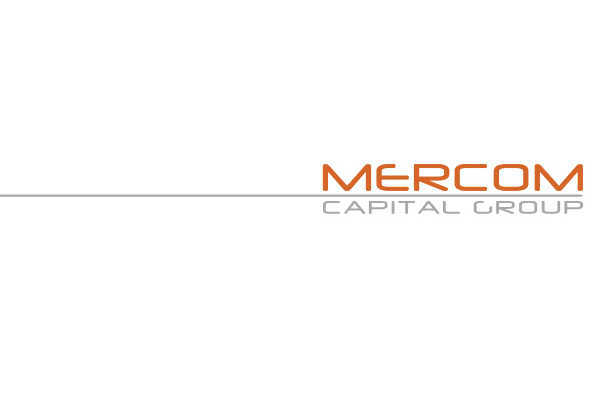 Mercom Capital Group, a global communications and research firm, released its report on funding and merger and acquisition (M&A) activity for the digital health (Healthcare Information Technology) sector for the first quarter of 2018. Mercom’s comprehensive report covers deals of all sizes from across the globe. Venture capital (VC) funding, including private equity and corporate venture capital, into digital health (Healthcare IT) companies in Q1 2018 surged to a record $2.5 billion raised in 187 deals from $1.7 billion in 192 deals in Q4 2017. VC funding in Q1 2018 was also up compared to Q1 2017 when nearly $1.6 billion was raised in 165 deals. Q1 2018 was only the second quarter since 2010 in which digital health companies surpassed $2 billion in VC funding. The digital health sector has now accumulated $28 billion in disclosed VC funding since 2010. Total corporate funding for digital health companies – including VC, debt, and public market financing – came close to $3 billion in Q1 2018 compared to $1.8 billion in Q4 2017. 12 Indian Healthcare IT companies received VC funding in Q1 2018. The companies are HealthifyMe, CallHealth, Healthi, Ventures, The Healthy Billion (THB), Wellthy Therapeutics, eKincare, LiveHealth, Healofy, School Health and Physical Education (SHAPE), MedTel HealthCare, Predible Health. “Digital health VC is off to a record start in 2018 with $2.5 billion beating the previous record of $2.4 billion from Q2 2017. Several large deals over $100 million pushed the funding total up in the quarter, with activity powered by over 400 investors,” commented Raj Prabhu, CEO and Co-Founder, Mercom Capital Group. The top funded categories in Q1 2018 were: $679 million raised by data analytics companies, clinical decision support with $516 million, mHealth Apps with $247 million, telemedicine’s $178 million, benefits with $160 million, and $146 million from electronic health records. There were 55 early-round deals in Q1 2018, including three accelerator and incubator deals. The top VC deals in Q1 2018 included: $240 million raised by Heartflow, $200 million from Helix, $200 million raised by SomaLogic, $146 million by PointClickCare, and Collective Health’s $110 million raise. A total of 412 investors (including one accelerator/ incubator) participated in funding deals in Q1 2018 compared to 371 investors in Q4 2017, of which 13 were accelerators/ incubators. Digital health VC funding deals were distributed across 24 countries in Q1 2018. There were 48 M&A transactions (13 disclosed) in the digital health sector in Q1 2018 compared to 57 transactions (three disclosed) in Q4 2017. There was one IPO launched in Q1 from Chinese fitness tracker and smartwatch maker, Huami, which raised $110 million and listed on the New York Stock Exchange. Practice Management Solutions companies led M&A activity with seven transactions followed by data analytics companies with six transactions. Clinical decision support, mobile Apps, and revenue cycle management companies were involved in three deals each. The top disclosed M&A transactions were: the $1.9 billion acquisition of Flatiron Health by Roche, ABILITY Network’s $1.2 billion acquisition by Inovalon, Intermedix’ $460 million acquisition by R1 RCM, Clearlake Capital Group’s acquisition of ProVation Medical for $180 million, and the $100 million acquisition of Practice Fusion by Allscripts. A total of 698 companies and investors were covered in this report.